DigiTon is an 8-bit sampler connects to parallel port. It works with all Amiga models (exept A1000 becaurse of parallel connector difference). 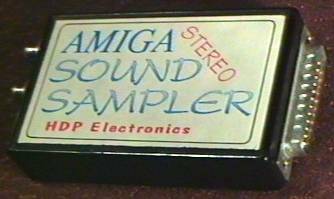 Originally it was supplied with a special software called "DigiTon" but it works also with more popular amiga sound processing software incl. AudioMaster (all versions). Sampling rates are up to 22kHz for stereo and up to 25-27kHz for mono. 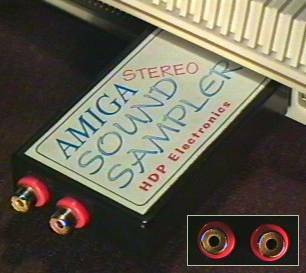 This version of DigiTon sampler is equipped with two chinch connectors. HDP also released a second version of this device called "Digiton2". The only difference between both versions (exept newer software) is a mini-jack used for audio input in the newer sampler. There are no differences in technical parameters.